Rafael Marquez and Herrera’s late goals ensured win for Mexico in their opening fixture of 2016 copa america against Uruguay. Overall it was one of the better games so far in the competition with goals, red cards, tackles and even a wrong national anthem for Uruguay. 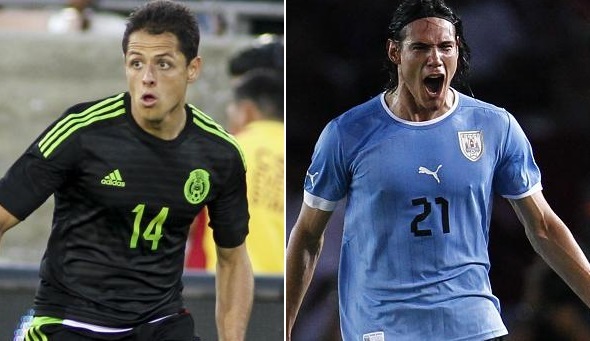 Mexico and Uruguay produced the first high temper and competitive game of Copa America so far. Mexico who went into the game slight favourites took the lead in just fourth minute with the help of Pereira own goal. Mexico looked to be in control at half time with 1-0 lead and a man advantage as Vecino was sent off for two yellows. Mexico failed to finish the game off and Jose Guardado sending off late in second half sparked the comeback as Uruguay equalized minutes later but a late goal from Rafael Marquez won the game for Mexico. 04′ 1 – 0 Alvaro Pereira own goal gave Mexico an early lead in just the fourth minute of the game. 45′ [ 2 yellow/red ] Matias Vecino was sent off for his second bookable offense at the stroke of haltime. 73′ [ 2 Yellow/Red ] Jose Guardado’s sending off sparked a comeback from Uruguay late in second half. 74′ 1 – 1 Diego Godin scored minutes later to make it 1-1 on the night. Mexico has a realistic shot at winning the Copa America purely on the basis on their recent form. They come into the opening game on the back of impressive 8 game winning streak and a win against Uruguay will certainly make them favourite to get out of the Group C which also have Jamaica and Venezuela. Mexico is a team on the up having gone 11 games undefeated and did not concede in the last four matches which goes to show their defensive powers. Luis Suarez who had absolutely incredible season with Barcelona winning the “European Golden Boot” will spearhead the Uruguay attack but there are doubts on his fitness and he might not start upfront with Cavani leading the charge. 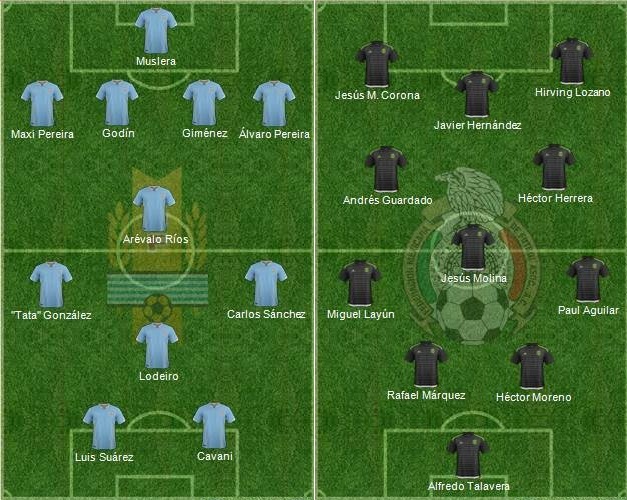 Unlike Mexico, Uruguay come into the game on the back of mixed form having won only two of the last 6 games and lost 3. Match Predictions: It is all set for first bumper clash of the 2016 Copa America. Mexico are the more inform team with probably all mexican crowd making it feel like home while Uruguay has some quality players but without Luis Suarez its hard to see how they can rattle Mexico. I am going with a narrow win for Mexico in this one.